There is an exciting new interest in core locations in Toronto today. Buyers are coming out in a huge way to condominiums that are next to transit, lifestyle and amenities such as Toronto Eaton Centre, world-renowned hospitals and the like. Many of the doctors, nurses, service providers, retail professionals and others who work at these venues appreciate the opportunity to live within walking distance or a quick public transit ride to their places of employment. 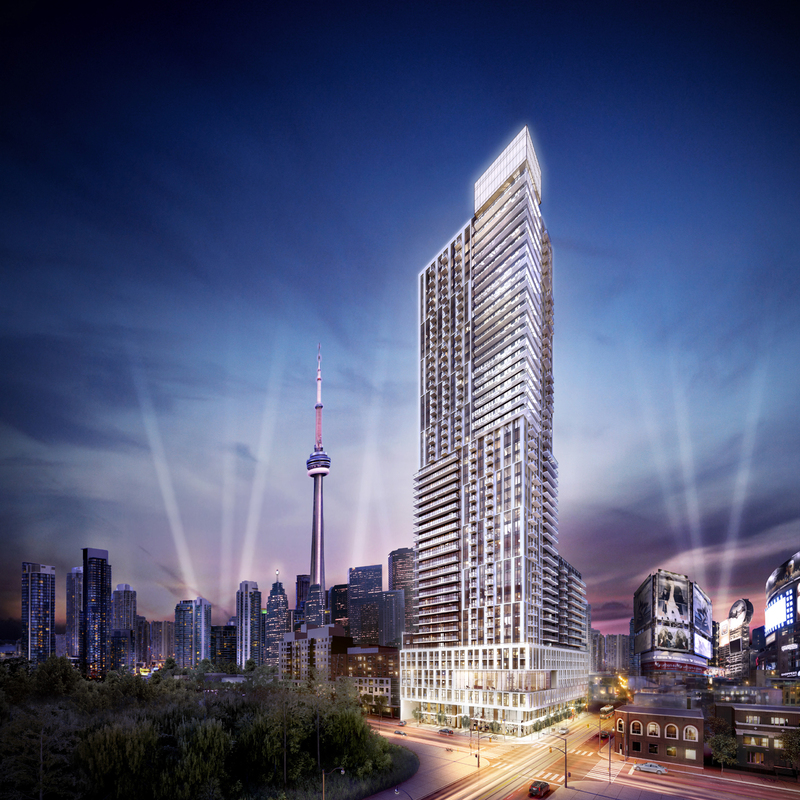 Among the new condominiums that offer the ultimate in lifestyle convenience is Dundas Square Gardens, which is situated at the corner of Dundas and Jarvis Streets. The Easton’s Group (a Steve Gupta company) chose this location well, as residents will be able to walk to every imaginable amenity, including Ryerson University and countless attractions, restaurants, shops and services. Public transit makes this area amazingly accessible. Residents can also walk to the Yonge Dundas subway or take the streetcar to King and Bay. Yonge and Dundas Square and Toronto Eaton Centre are just to the west, and beautiful Allan Gardens lies north of the condominium. Suites at Dundas Square Gardens offer incredible value for downtown Toronto ownership, in great part due to the efficient floorplans designed by Page + Steele IBI / Group Architects. In fact, these are some of the most efficient floorplans I have seen, with every bit of space usable. What an ideal opportunity for first-time buyers, young families just starting out, and even investors, with prices beginning from just $199,900 and two-bedroom units for $299,900. Last year, the Dundas/Jarvis area was rated among Toronto’s top-10 neighbourhoods for high-return real estate in a Toronto Life issue. Just think how areas such as Liberty Village, Queen West and Regent Park have become popular residential destinations over the past few years, and realize that it is even closer to the Financial District. And like the Distillery District, St. Lawrence Market and Corktown, where prices have begun to climb, investors at Dundas Square Gardens can feel confident in building substantial equity over time.